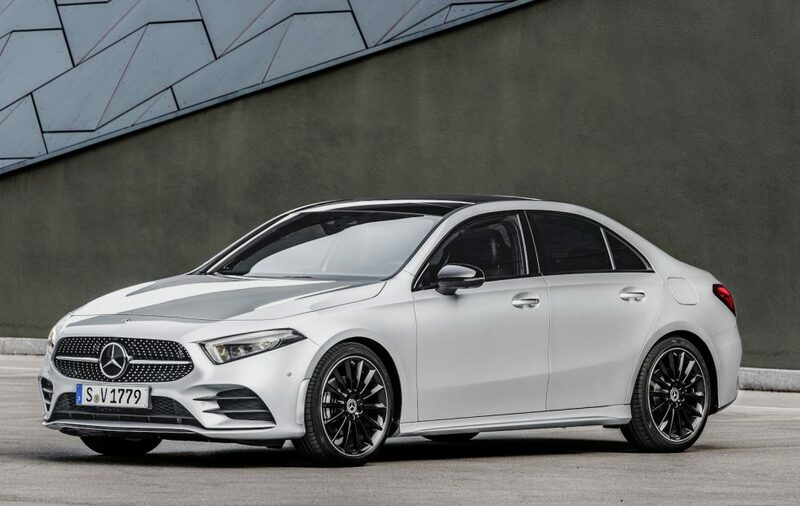 Mercedes-Benz has taken the wraps off the 2019 A-Class Sedan, we’ve heard that it’s luxury four door sedan that will head to the US later this year. It’s not confirmed whether it will be making it’s way to South Africa. Borrowing driver assistance and safety technology from its bigger siblings, the S-Class and E-Class, and introducing a brand-new infotainment system, it’s part of what the automaker says has been a resurgence of high-end compact cars. That started with the CLA Coupe four-door, back in 2013. 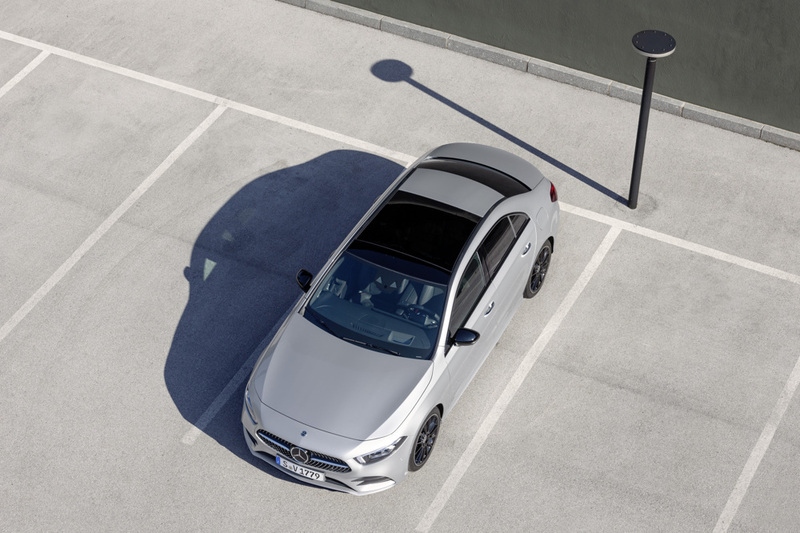 By 2017, Mercedes says, more than half of CLA buyers were new to its brand. 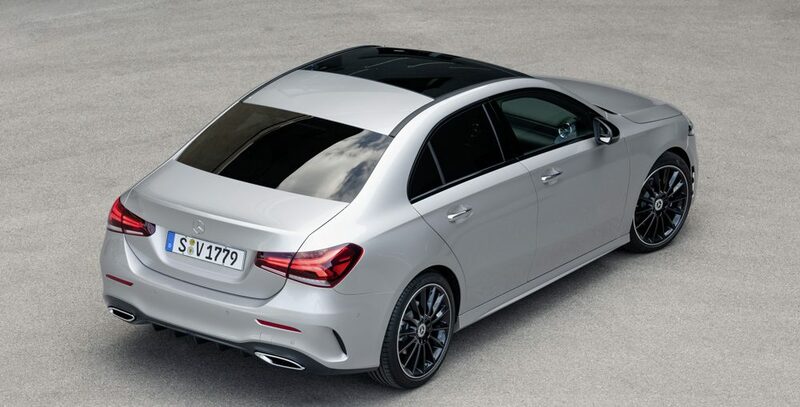 Now, the A-Class will attempt to do the same, adopting the sedan style for the first time. Mercedes previewed the styling with the Concept A Sedan in April 2017, and though some of the more impractical flourishes have been lost on the way to the showroom, the production car does keep the same overall look and feel. 17- to 19-inch wheels will be offered, under swollen wheel arches. The long, low hood gets chrome, slimline headlamps with daytime driving lights, while the grille will be optionally available with a chrome pin design. Two-part tail-lamps and a modular two-part rear bumper will be finished with either a black diffuser or with a chrome trim strip and chrome tailpipe tips. Inside, there’s an all-new cabin. Most noticeable is the absence of a cowl above the driver’s instrumentation: instead, the wing-shaped dashboard spans from one front door to the other, with the freestanding widescreen infotainment display emerging from the top. Turbine-look air vents borrow cues from Mercedes’ more expensive sports cars. Two 7-inch displays are standard, while a pair of 10.25-inch panels are optional. 64 color ambient lighting is available, with ten color themes with lighting changes. The 2019 A-Class Sedan will be the first of Mercedes’ cars in the US to offer the new MBUX infotainment system, which promises to learn from the user with inbuilt AI. A touchscreen interface, natural speech recognition with a “Hey Mercedes” keyword trigger, and a touchpad in the center console can all be used to interact with the system, along with touch control buttons on the steering wheel. A head-up display can be added, too. Car-to-X communication is an option, as is vehicle tracking from a smartphone. Android Auto and Apple CarPlay are standard. As for driver-assistance, the S-Class donates features like Active Distance Assist DISTRONIC, the adaptive cruise control of which automatically adjusts speed depending on upcoming bends, junctions, or turning circles. You can have Active Emergency Stop Assist and Active Lane Change Assist, too, while Active Lane Keeping Assist will pull the car back in lane if it drifts. Active Brake Assist is standard, as are driver and front passenger airbags, a driver’s knee airbag, and window airbags. Thorax-pelvis side airbags are standard in the front and optional for the rear. LED headlamps are standard, but an LED Intelligent Light System is optional. That can adjust the beams, through an array of individually-actuated LEDs, to suit the road conditions, while the lights themselves are tuned to look more like natural daylight. Mercedes claims that’s easier on the eyes. Other standard features include dual-zone climate control, keyless start, a multifunction steering wheel with paddle-shifters, and a panoramic roof. Options will include a Burmester Premium Sound System, heated front seats and starting wheel, ventilated seats, an AMG Line design package, navigation with 3D augmented reality graphics, parking assistance, and wireless phone charging. Pricing for the new car is yet to be confirmed, as is local availability (if ever) as is their economy figures. We’ll know more when we get closer to the 2019 Mercedes-Benz A-Class launch, later in the year.